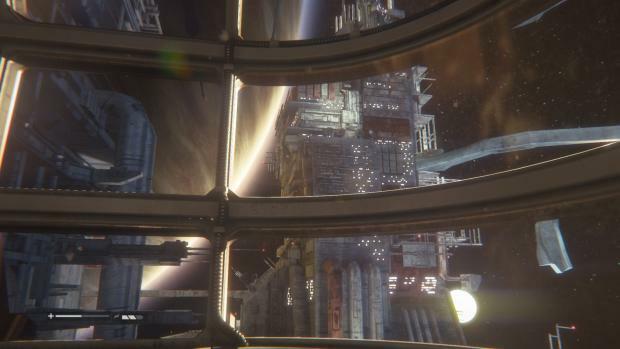 From the moment you begin, the atmosphere is dripping from every corner of Alien: Isolation. 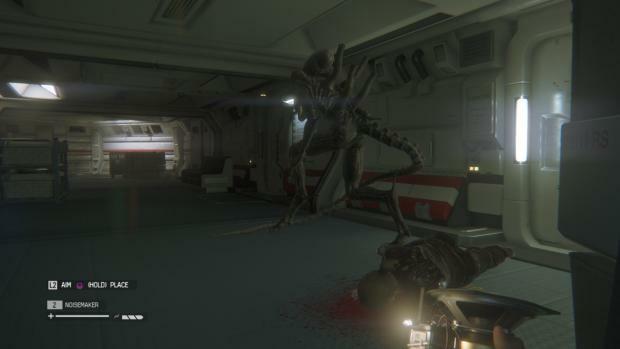 Creative Assembly have successfully created not only an expansive world to explore and traverse, but also the fear that an Alien should instil. You don’t want to run into the perfect killing machine, and after the first time, you actually don’t ever want to see it again. But like Resident Evil’s Nemesis, the titular Alien stalks you as prey, and you’ll never truly feel able to assault it. Let’s be clear about this: Isolation is one-hundred-percent a stealth game. Not a stealth game like Dishonored, where you can kill people and escape. No, if you are pulling your revolver out here, you’re doing it wrong and are either going to die, or have to hope you get lucky. This is in part thanks to the relentless AI. It’s worth saying that, if you do encounter the Alien and it sees you, you’re dead. If you’re lucky enough that it appears and doesn’t see you, sure, you can hide and escape, but there are other enemies on the Sevastopol space station that are just as deadly. Scavenger humans, in fact, are the easiest to kill, but appear in groups and are smart enough to patrol in a manner that makes you easy to spot. Synthetics are brutally difficult to take down, requiring almost all of your ammo in one go, which is likely to attract more enemies thanks to the noise. In fact, they’re possibly too hard (even on the medium difficultly level), and can happily grab your melee weapon and throttle you, causing you to smash buttons to escape, then run for cover. Everything wants to kill you, and as Amanda Ripley, you’re woefully under-prepared to fight back. Amanda has chosen to go on a company mission to the vast Sevastopol because there’s a hint that her mother might be there. Arriving with her colleagues, it’s apparent right away that something is wrong. 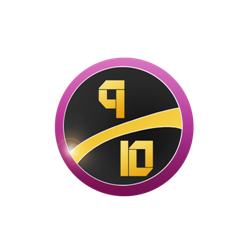 Entering the station, an accident occurs and Ripley is left on her own, trying to uncover the mystery of what has happened there, and to reconnect with her colleagues before eventually escaping. Characters are portrayed well, and respectfully – though perhaps more importantly, they’re all believable. Ripley is like her mother: strong, but frightened. She knows she can’t hold her own in a fight, but she’s smart and nimble. It’s early on when everything goes to pot that the incredible audio design first becomes apparent. A space walk to Sevastopol causes everything to become muted outside Amanda’s helmet, intensifying the audio and helping to create the bleak, hopeless atmosphere. Despite the vast expanse of space, she’s alone. Even entering a huge space station doesn’t help, because the people are scattered, frightened, and half the ship isn’t working. It looks great, too. Every nook and cranny has been beautifully rendered, and the lighting effects are some of the best I’ve seen in a long, long time. But it’s the authenticity that truly makes it. The clanking sound of the Alien in the vents, the beeping of the motion tracker, the awkward speech of synthetic workers. It’s just brilliant, and there’s not a single misstep here. You’ll be sneaking around, using all sorts of tools to help keep you safe, along with the motion tracker. A nice effect is that as you raise the tracker to view it (it shows your objective direction, as well) the rest of your view loses focus, blurring out. The shift of visual focus in this manner is something I can honestly recall seeing done, and you can hold a trigger to shift your focus back to the background, blurring the tracker out temporarily. There are plenty of small mini-games that involve hacking, but they’re actually entertaining due to the feeling that you’re never safe. Stopping to hack a door when the Alien could be anywhere, ready to kill you, is horrible (in a good way), and every time you do it, you’ll feel panicked. Along with crafting noisemakers (and other assorted distraction weapons) from scavenged parts (don’t use up your torch batteries! ), you can also tap into security systems and turn off lights, or the air purifier to create a smoky room, or even just make speakers malfunction to grab a patrolling synthetic’s attention – but you’re always risking your life doing so. Even saving your game isn’t safe, as you’ll be warned that enemies are nearby, and it’s here that the biggest issue with Isolation rears its head: you can only hard-save. Harking back to days when games were harder, there is no auto-save at all. If you die, you’re going back to the last save you committed to. Forgotten to save for forty minutes and die? That’s forty minutes of progress you’ve just lost. The idea seems to be that quick-saving would remove all fear from Isolation, and while that’s believable, the lack of any form of checkpointing means that there will be moments of unnecessary frustration. This, coupled with the difficulty of most enemy encounters, means that anything and everything positive I have to say (and there’s so much positive here, it’s ridiculous), needs to be read with the caveat that the save system will not be to everyone’s tastes. If you do make a mistake, and save somewhere dangerous, you can revert to the previous save, but that’s it. At one point I lost forty minutes, but it’s a testament to the quality of the game that I didn’t mind that much, and continued on for another hour beyond that. In fact, such is the quality here, that my first play sessions was four hours (the game is around fifteen hours long, though never outstays its welcome even for a second), and that’s not something I can say very often. There are some nice features found in the PS4 version, such as the DualShock 4 speaker offering warning of motion nearby. A static beep lets you know you’re not alone in the area, and you can then lift the tracker up and study it. The PlayStation Camera (and Kinect on Xbox One) offers head tracking. Holding L1 lets you use the left stick to lean around corners, but with the camera, you can physically lean. It’s a nice touch that you’ll use for a few hours, then revert back to the controller. It’ll also (if you enable it) pick up audio from the camera’s microphone, giving away your position if you suddenly make lots of noise. Another nice idea, but one that is slightly at odds with the actual gameplay. If you’re sneaking around perfectly, but then sneeze or cough, you’ve given away the game. But when all is said and done, you’re playing Alien: Isolation for the atmosphere and the alien, and Isolation delivers in spades. It’s a smart beast, and eventually the fear you have turns to respect. You’ll learn that you can (and will) die often, but if you play your cards right, it can kill your enemies before turning its eye on you. Brutal death sequences quickly remind you that it’s a killer and not a toy, but appearances are sparing in the first half, though often enough to never let you forget, before really ratcheting up the tension as it stalks you. The audio is so well designed that any sudden noise will have you jumping and going for your motion detector, and this is a game that unsettles as much as it scares. Technically, for the most part, Isolation is a marvel, but not completely without issue. There’s an odd thing with the cut-scenes that looks like a frame-rate problem. There’s not so many of them that it affects the overall game, but it’s noticeable when it happens. Elsewhere, the UI is minimalist and there’s a glorious 80s vibe going on, especially during loading screens, with tracking lines everywhere, even on hint-text as it appears. It’s a loveletter to the era the Alien franchise came from, and it absolutely works. There’s a clear option to return on higher difficulties, and potentially speed-run the game, because after you know what to expect, for the most part you can complete sections in double time. Survival mode adds a completely different aspect to Isolation, and instead of rewarding patience and slow-movement, asks you to quickly complete bite-sized tasks. 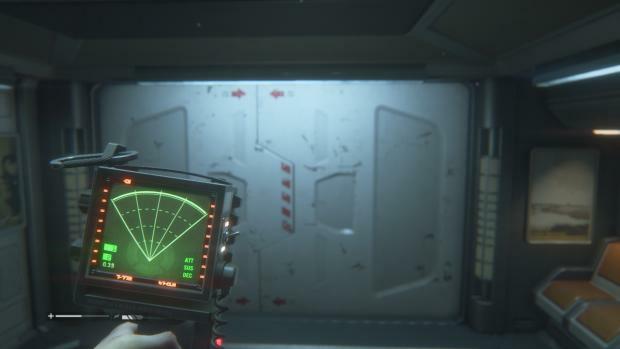 Alien: Isolation is a phenomenal title marred by only one major issue that some will overlook, and others will find a deal-breaker. It’s comfortably the best Alien game ever made, and delivers authenticity along with a new story that is worth seeing, experiencing, and fleeing from into the darkness. Never once allowing the immersion to be broken, Creative Assembly have done it. They have actually done it.